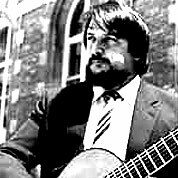 The French guitarist, René Bartoli, won the International Guitar Cometition of O.R.T.F. at Salle Gaveau in Paris at age 21. He then started concert tours in France, Belgium, England, etc. René Bartoli is Senior Professor at the Conservatoire National de Region de Marseille. He recorded several LP’s, including one with the renowned flutist Jean-Pierre Rampal.